I know that the title of this is “Marriage & Money,” but whether you have never married, you’re divorced or widowed, every financial principle that we will outline in this post is directly applicable to you! Please don’t skip what God would speak into your life through this. 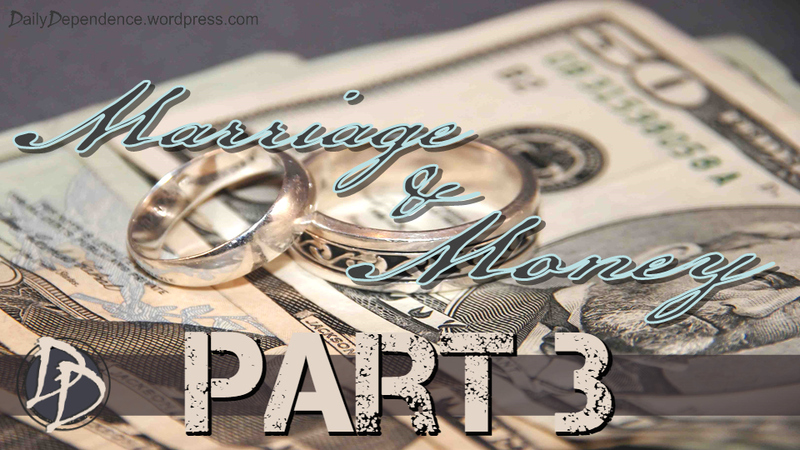 Our trilogy of “Marriage & Money” posts comes to an end with the final installment that we will hopefully understand how to have unity in our Finances by looking into People’s View of Money vs. God’s View of Money. In Part 1, we discussed how not having a plan for how the family finances are going to be handled can cause problems in our marriage if not dealt with quickly. We also reviewed God’s Plan for Marriage and how Satan attacks marriages. If you missed it, just click here…★ Thought for the Day – Marriage & Money – Part 1 ★ to get caught up. In Part 2, we discussed the Differences between Men and Women and how Satan exploits those dissimilarities to heap on the stress to cause a wedge in our relationship. Most importantly, we unpacked how it is paramount to have God as the center of our marriage if we ever want to have unity. If you missed it, just click here…★ Thought for the Day – Marriage & Money – Part 2 ★ to get caught up. We have focused a lot of time on marriage but that was to set the foundation for the financial side of things, because every thing that we talked about marriage also applies to money. Remember they go hand in hand. We are going to look at People’s view of money and Jesus’ famous Sermon on the Mount which outlines God’s view of Money. For simplicity’s sake I will refer to it as “Man’s View of Money,” but obviously that goes for the women as well. If you look closely verse 19 says “all your needs” will be supplied. 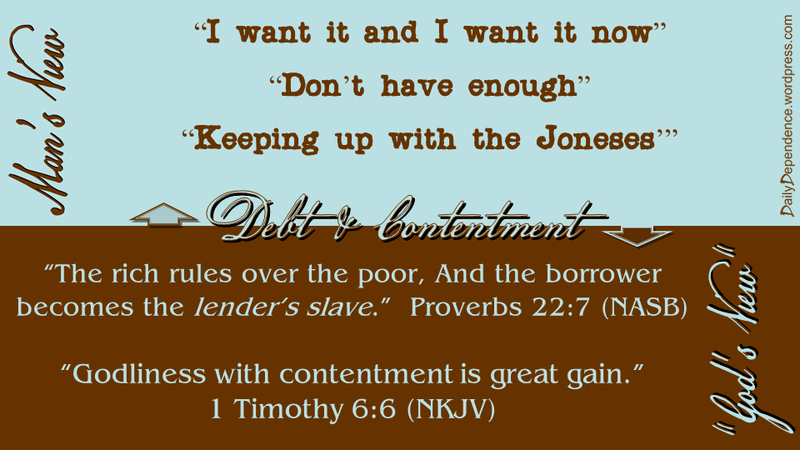 Discontentment ignores the provisions of our needs and focuses on what we do not have and conversely on what we want. We need to get to a place where our circumstances do not dictate whether we have joy or peace. 2. 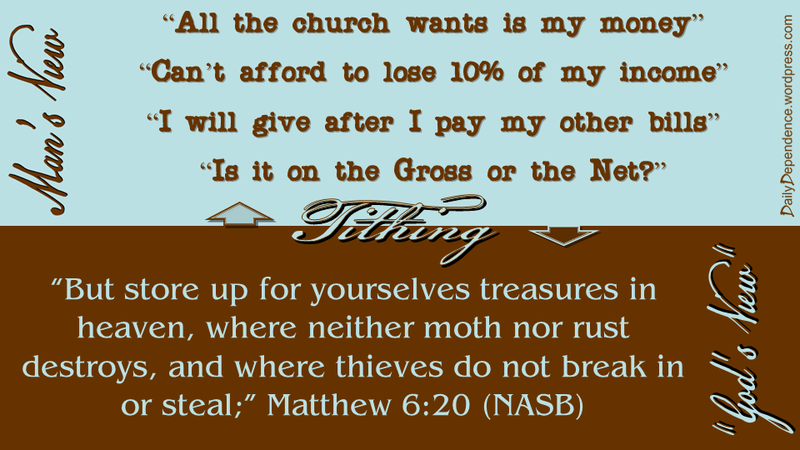 The second view we will look at is a hot button issue and that is Tithing. If you heart is not in the right place, you will not please God with you giving, you can read about Cain’s unacceptable offering in Genesis chapter 4. We don’t have time to go through the story but the very first murder resulted over tithing when Cain killed his brother Abel because God found his offering acceptable and not Cain’s. 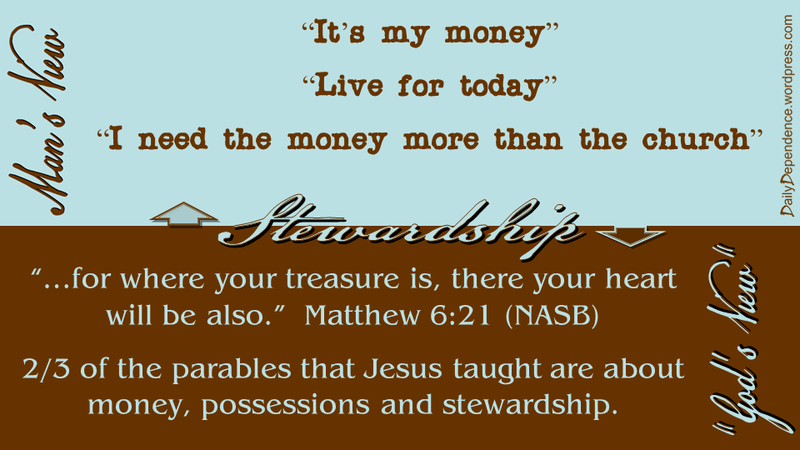 God knew what hold money and possessions would have on our hearts and that is why so much teaching in the Bible deals with this. the office, duties, and obligations of a steward – I always love how they define a word with the same word, I thought that was not allowed. A Steward (is defined as a fiscal agent or manager). the conducting, supervising, or managing of something; especially: the careful and responsible management of something entrusted to one’s care. The “Zero-Based Budget” approach which is where the Total Expenses = Total Income. Every dollar is spent on paper before it is actually spent. If done this way, when you work through every category on your budget sheet you should end up with a zero (no extra money left over or extra money spent). And that is the whole point, right? 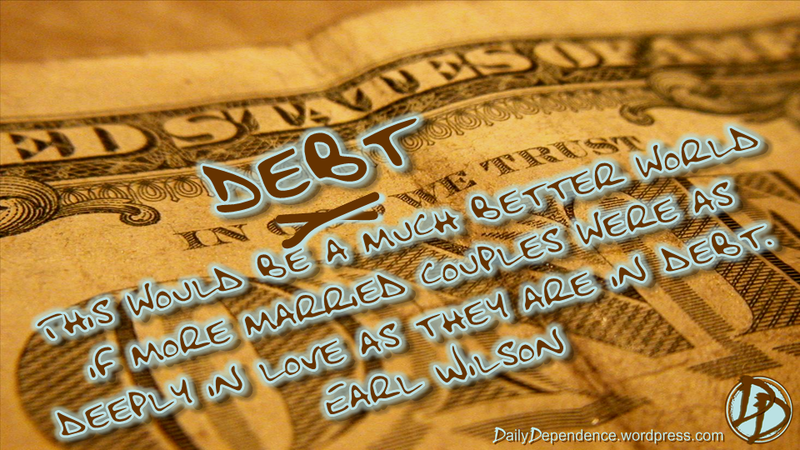 For is to have unity in both our marriage and finances! 4. 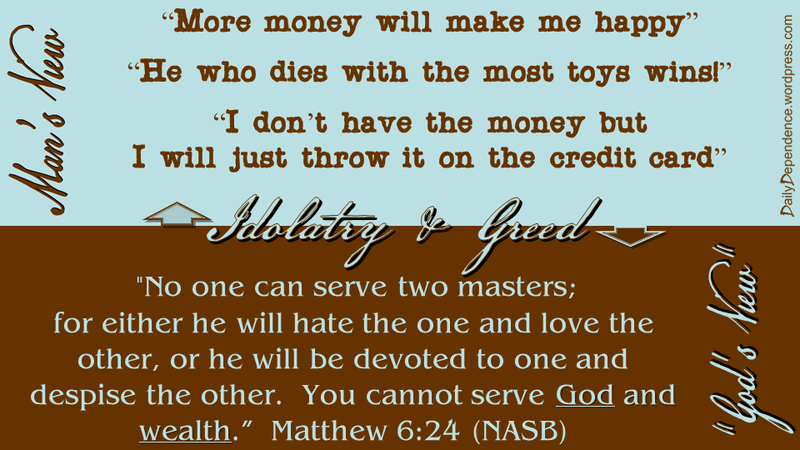 The number four view is Idolatry and Greed. This is one of the most famous and most misquoted verses. Many people say “money is the root of all kinds of evil” but if you look carefully it says “for the love of money is the root of all kinds of evil.” And that love of money can cause us to wander from the faith and cause many problems in our marriage and finances. It is all about the heart and until you have that right, you will continually spin your wheels and never please God. 5. Worry is number five. 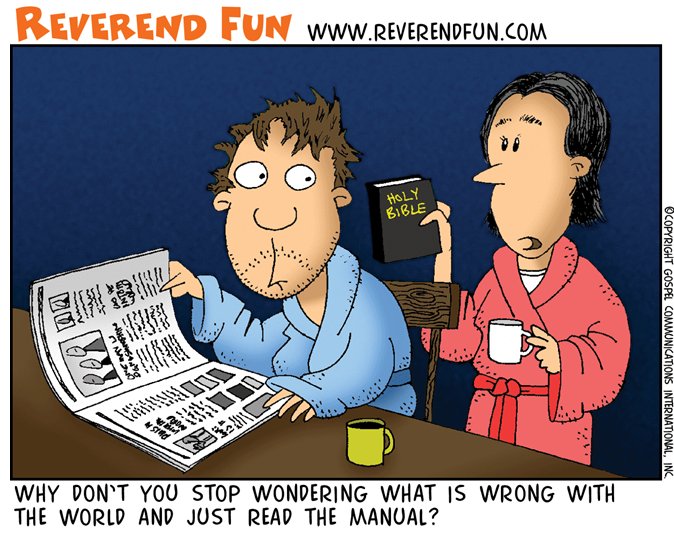 “Why don’t you stop wondering what is wrong with the world and just read the manual”. Boy that is a hard one for me sometimes but the longer I walk with God the more I realize when I just put in his hands (and leave it there), He will take care of my every need. 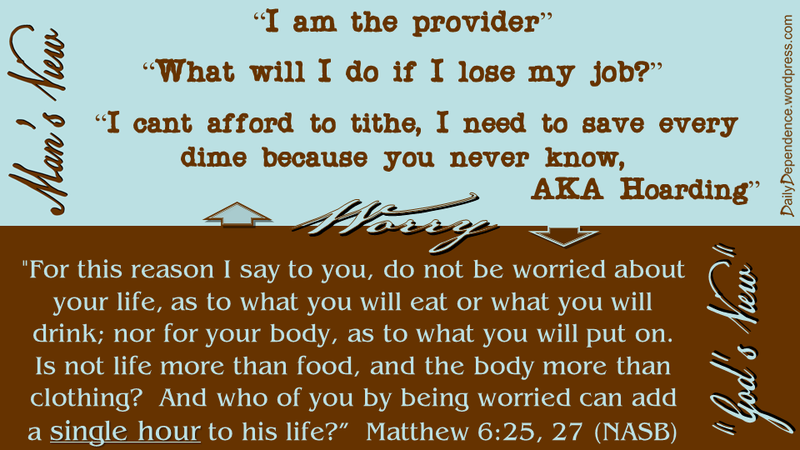 I am not the provider for my family, God is the provider. 6. 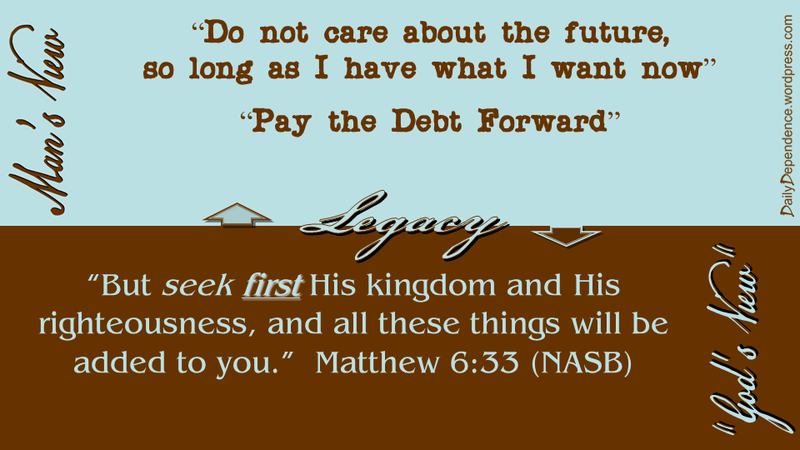 The final view we will look at tonight is Legacy. 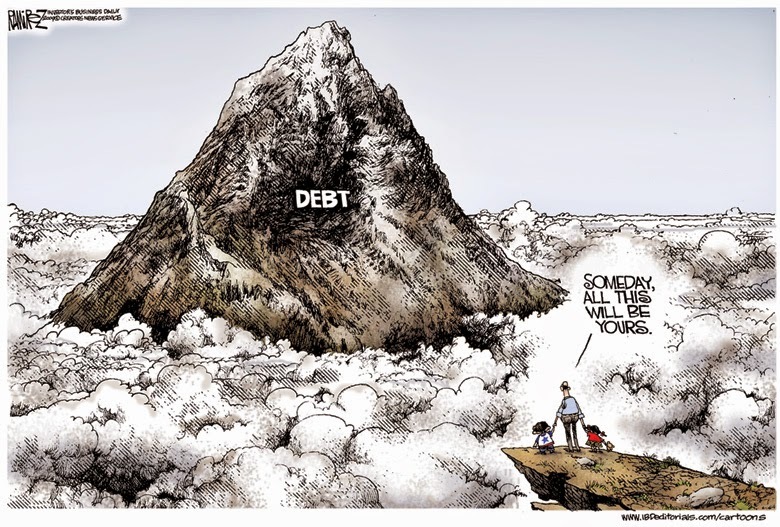 According to the U.S. Department of the Treasury, the National Debt has continued to increase an average of $2.34 billion per day since September 30, 2012. As of 3-15-2015, the national debt is $1 8 , 1 6 0 , 6 6 6 , 5 5 2 , 0 3 1 . 6 8 ! That is staggering to think of all that we are passing onto future generations!! I saw this comic, and though it is funny, it is also quite sobering! God should be ahead of everything else, if we do, everything else will be added to us. 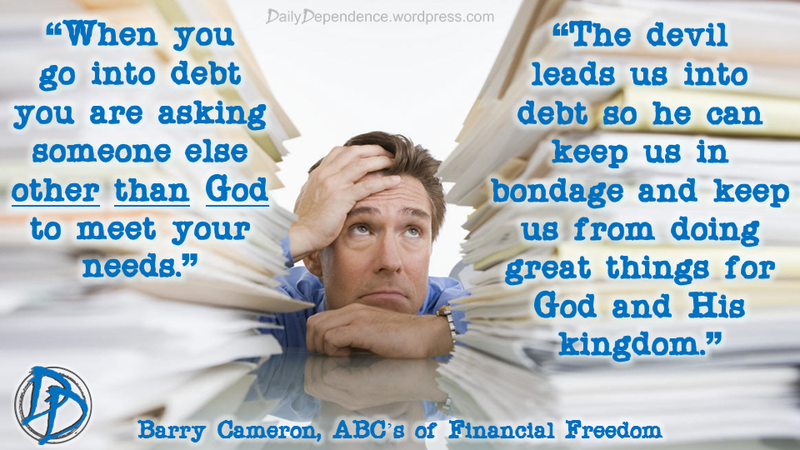 It should be a great concern of ours about the debt just continuing to grow with no thought of the future. “A good man leaves an inheritance for his children’s children, but a sinner’s wealth is stored up for the righteous. 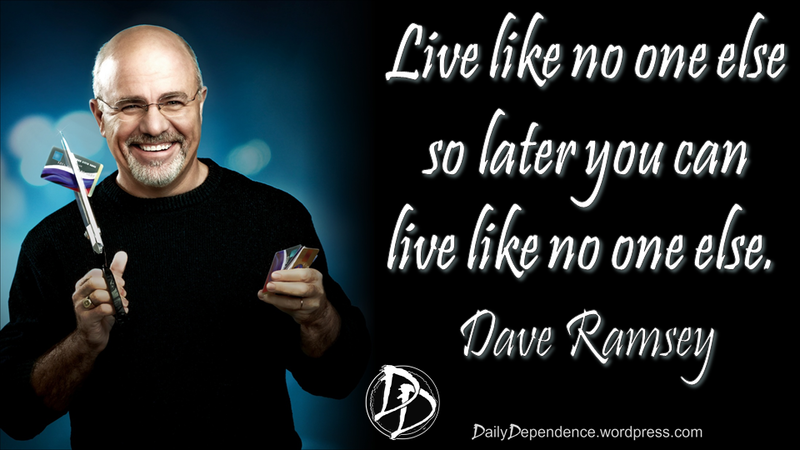 How we live now will greatly affect how we will live in the future. So what’s next? 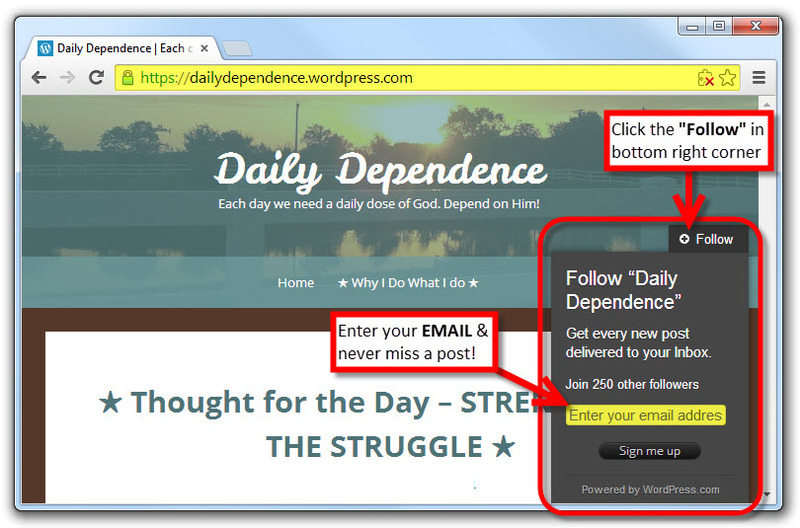 Well just like in any trilogy of books or movies, there is always “BONUS” material so click here for some Practical Application! !